An instrument rating is one of the more difficult training courses because it demands a higher workload and precise aircraft control with references solely by instrumentation. However it is recommended that every pilot get their instrument rating to become a safer, more experienced pilot while enabling the pilot to utilize the aircraft in more adverse weather conditions. At Cardinal Wings Aviation, we will teach you to perfect your skills of instrument flying by flying in actual weather conditions and what factors to consider when making a go/no-go decision. Our instructors have experience in almost all weather conditions and we encourage students to gain that experience with us before attempting it on their own voluntarily or involuntarily. 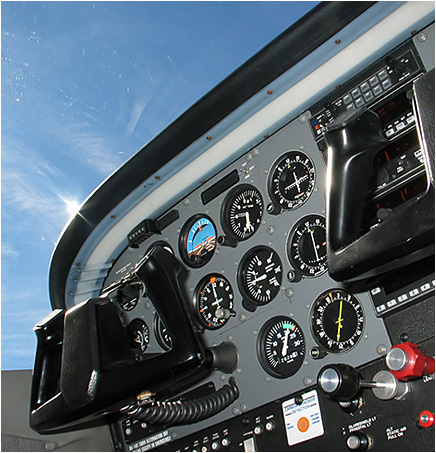 Our aircraft are equipped with both standard instrumentation as well as “glass cockpit” instrumentation that enhances situational awareness. We encourage students to share time in the aircraft while building time to practice Crew Resource Management as well as keep their costs to a minimum. You must pass a 60 question computerized test based on the ground training knowledge you receive and make at least a 70 score. You must receive instruction on one cross-country IFR flight of at least 250 nautical miles and execute 3 different types of approaches on the trip. 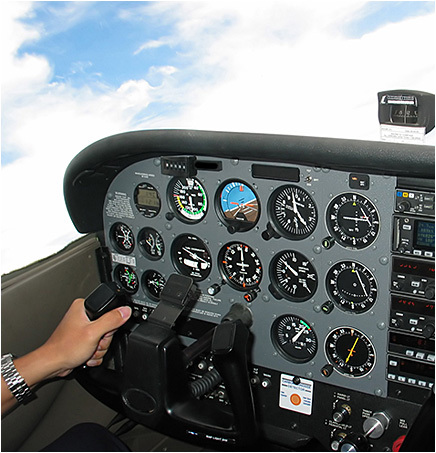 With all of that done, you will then take a “check ride” with an FAA Designated Pilot Examiner. This includes an oral exam by the examiner and a flight test where you demonstrate your proficiency in the plane.